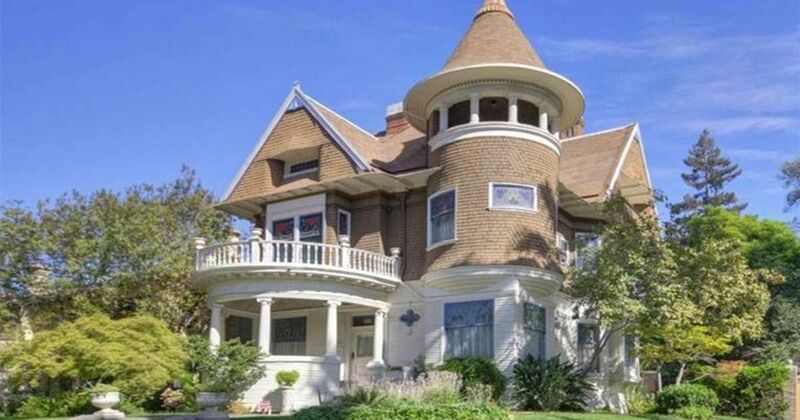 This stunning Victorian is eye-catching from the outside. 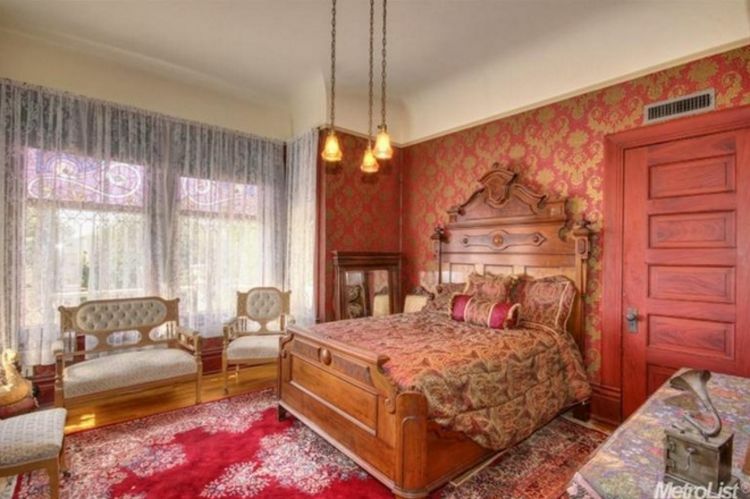 The home was built in 1903, according to RedFin and features the beautiful balcony and curved walls often associated with this style of architecture. Located in Sacramento, California the outside of the home is just the beginning. Take a tour through this stunning homestead in the following pictures and look at everything the property has to offer. A large, covered front porch is perfect for relaxing or socializing with friends. 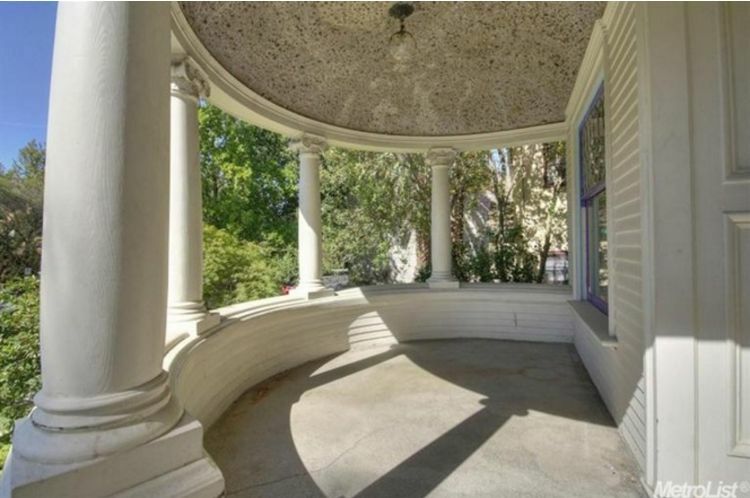 While beautiful, these outdoor porches were actually created a bit out of fear, according to This Old House. The porch provided a safe place to socialize free from stagnant indoor air. 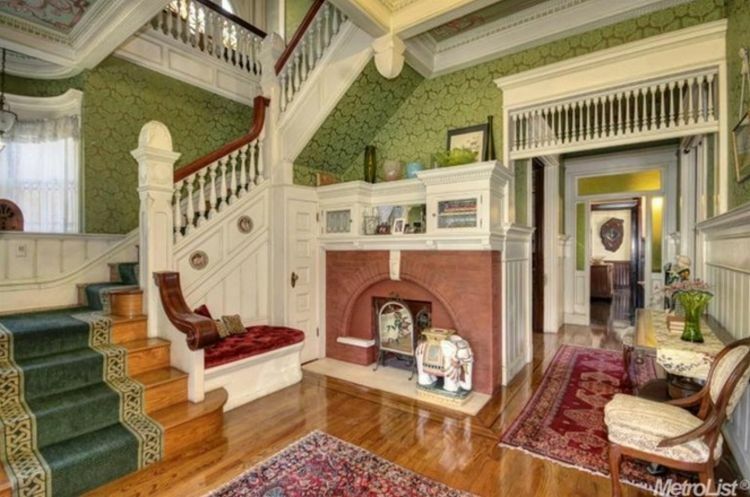 The beautiful features of this home have been well preserved including wide door frames and the beautiful wood railing leading up the wrapped stairs. A fireplace adds warmth to the room. The attention to detail is immaculate. 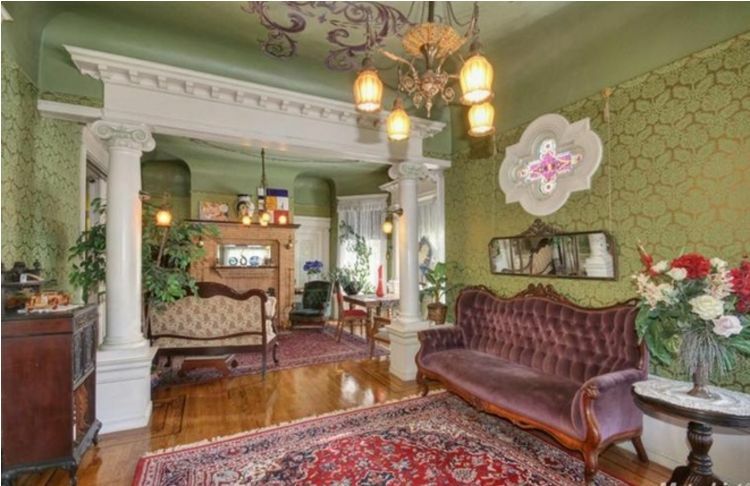 The decorative ceilings and beautiful window sill help the visitor feel as though they've traveled back in time. 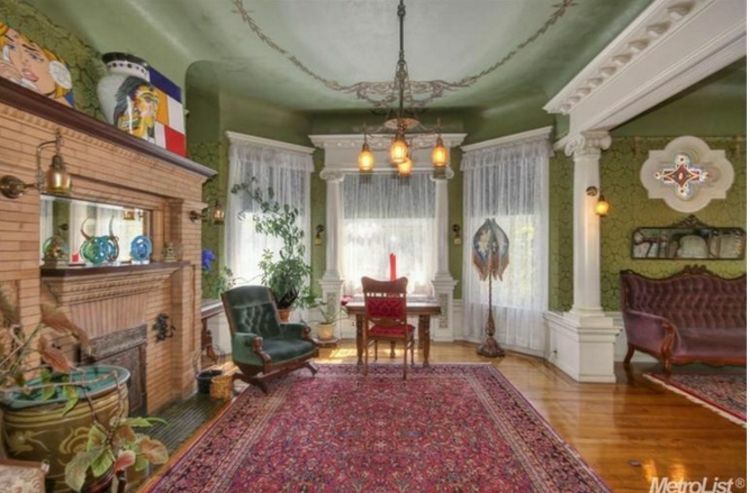 These ceilings feature crown molding and hand-painted artwork. Pay attention to lighting that reflects the era the home was built in. The hardwood floors are well-kept traverse the entire home. The current owners took care to pay special attention to the decor so that the bones of the property shine through. A cozy sitting area is located near another fireplace. This looks like the perfect place to read a book (or write one). 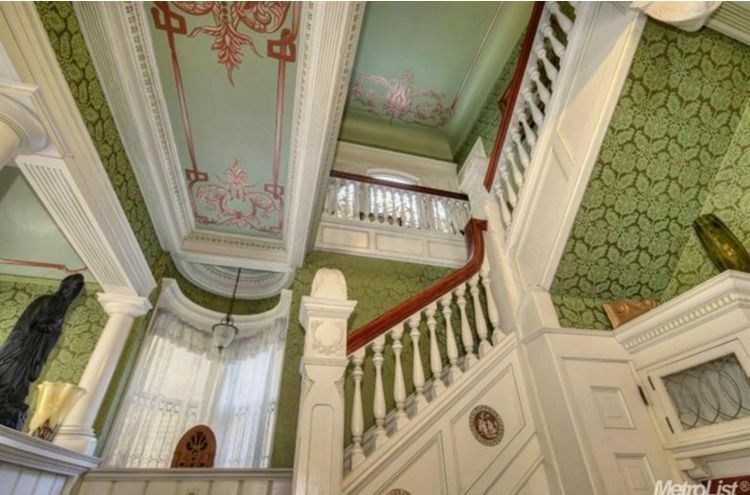 The upstairs of the home features a small balcony overlooking the property. 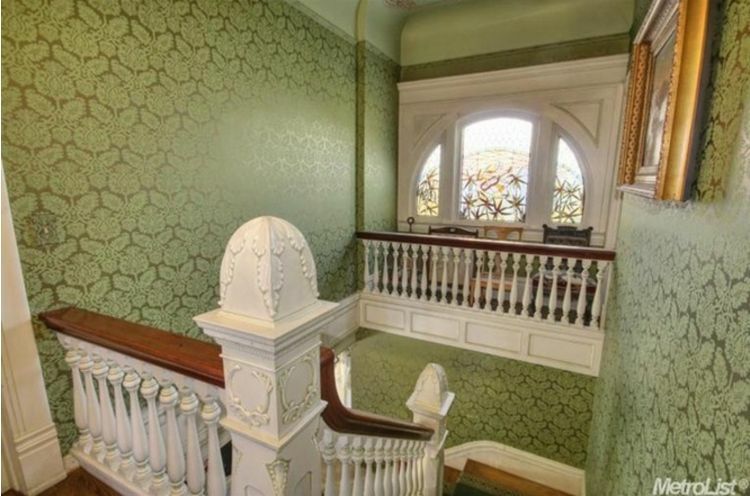 This balcony appears to come from another room on the other side of the home. The large master features hardwood floors, period lighting, large windows and large built-in clothing storage. 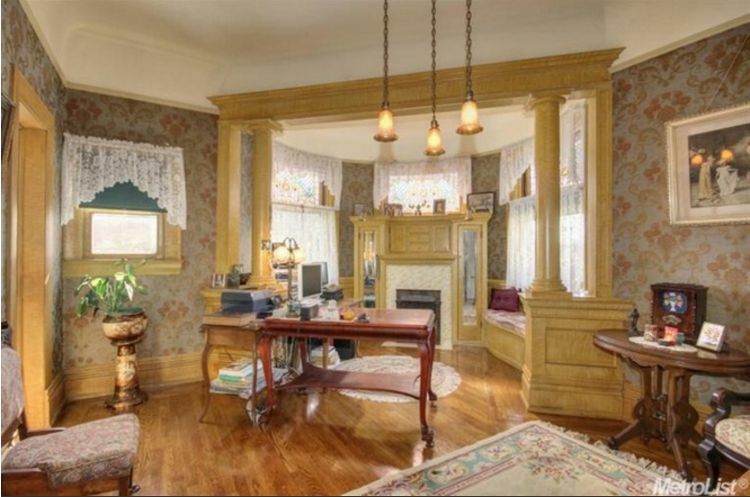 This room could be used for a library or an office. Notice the detail on the doorways. 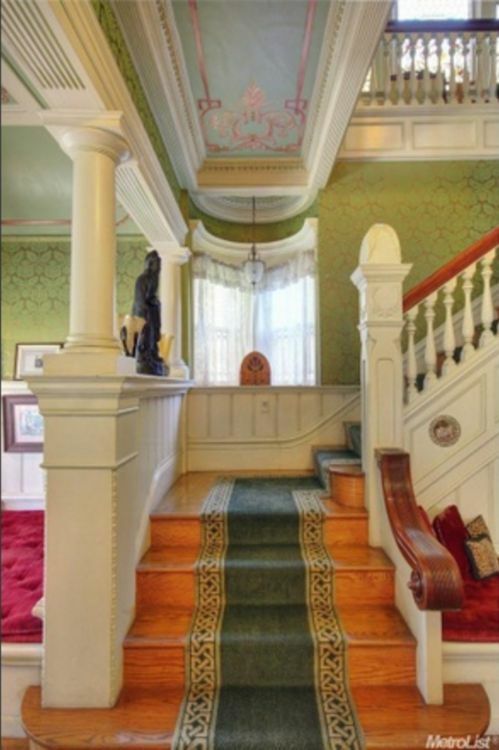 This decorative style was common for the era this home was built. This room offers a bit more warmth with red wallpaper and a stunning red closet door that pulls the entire design together. 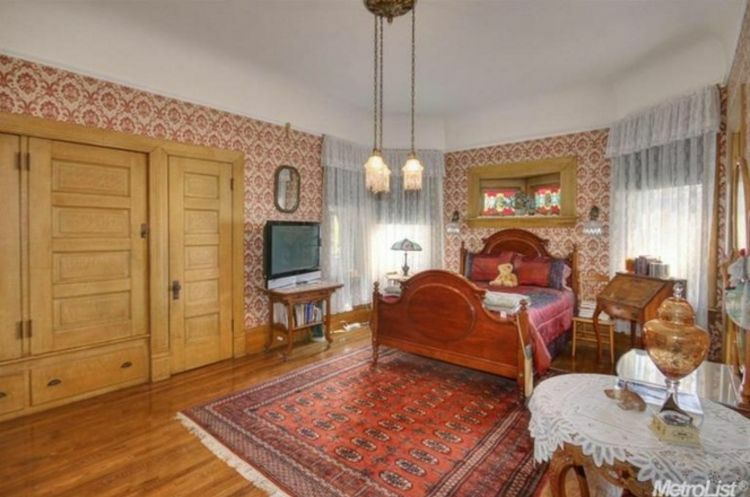 There's plenty of space in this large room (enough for a queen size bed, dresser, and a sitting area!). 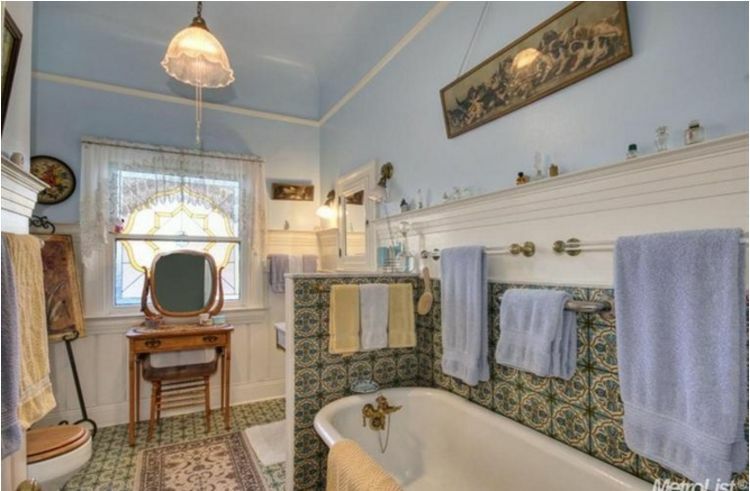 This unique bathroom includes a beautiful tub and a wall that blocks the sink. 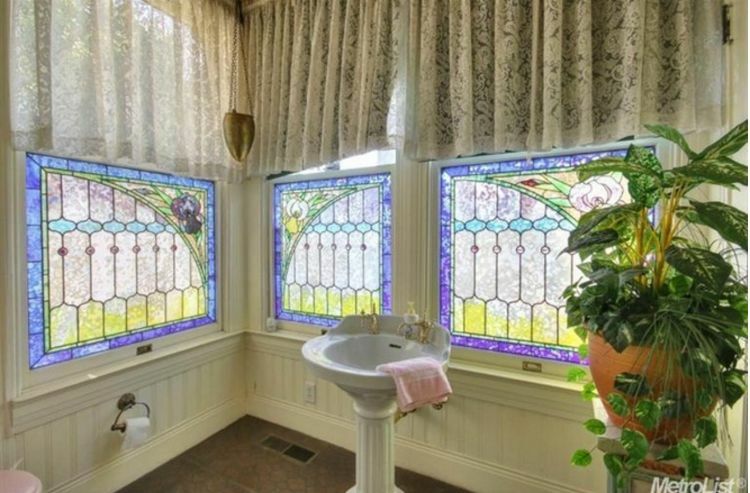 A stunning stained-glass window allows plenty of natural light while maintaining plenty of privacy. 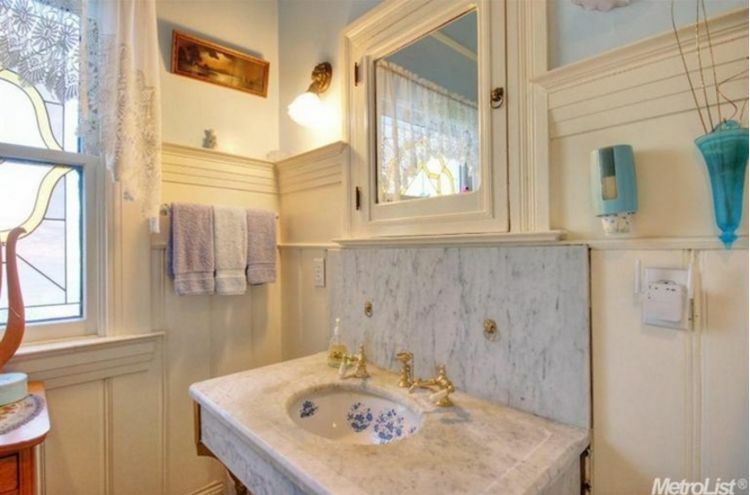 The masterpiece of this room may very well be the granite sink with gold hardware. More stunning glass windows surround the bathroom area, creating a luxurious castle-like feeling. 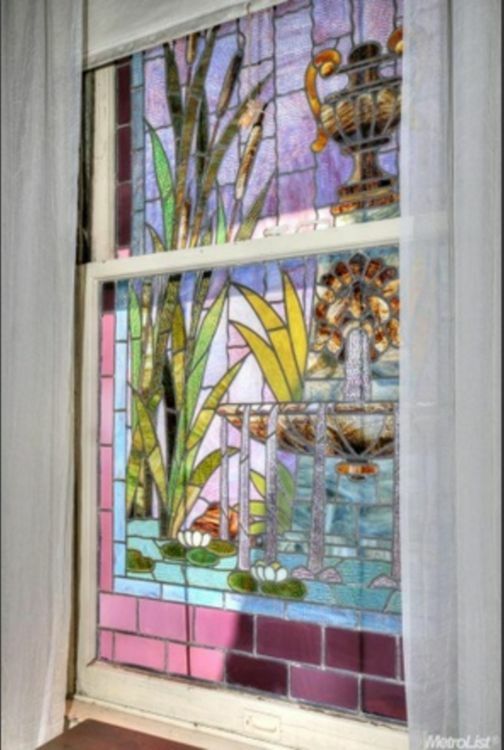 The beautiful stained-glass windows are a delicate feature that really accent the time period this home was built in. The home includes two full bathrooms, four fireplaces, and a full basement. Could you see yourself living in this home? Share this stunning property with your friends on Facebook and pass on the architectural history this home helps preserve.